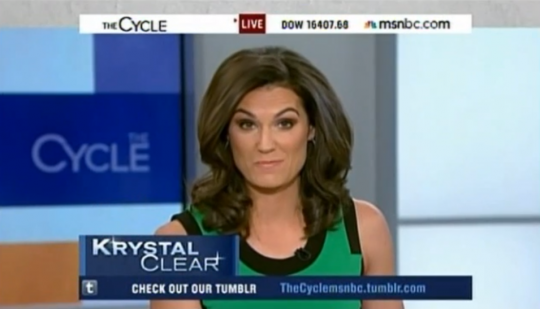 It was with some amusement yesterday that I saw Krystal Ball had doubled down on her effort to recast Animal Farm as a story of evil capitalists disrupting a socialist paradise, or something. It’s all the more amusing because George Orwell was actually a socialist; as my colleague CJ Ciaramella has noted, there are plenty of his books she could have chosen from if she wanted to make a point about the evils of inequality and not look like a complete spaz. Included below are the opening paragraphs from a few of Ball’s greatest hits. I think we can all agree that her horrible misinterpretation of Animal Farm is the least of her errors. Now, look: As someone who is prone to making the occasional counterintuitive argument—that Elysium is an anti-Obamacare parable, say, or that Star Trek: Into Darkness is pro-drone strike—I’m sympathetic to Krystal Ball’s weirdly warped take on these classics. But even I have my limits. *I didn’t; this is parody. **No she didn’t; again, this is a parody. This entry was posted in Culture and tagged Krystal Ball, MSNBC, Parody. Bookmark the permalink.